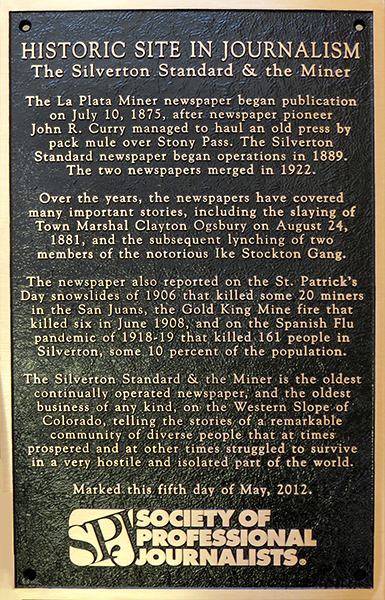 The Silverton Standard & the Miner newspaper has been designated a National Historic Site in Journalism by the Society of Professional Journalists. It is the only newspaper in Colorado with such a designation. The Standard & the Miner, founded in 1875, is the oldest continuously operated newspaper - and the oldest business of any kind - on the Western Slope of Colorado. The San Juan County Historical Society acquired the newspaper in 2009. While it operates independently from the historical society, it relies partially on donations and community support in its role that Beverly Rich describes as "Silverton Public Newspaper". 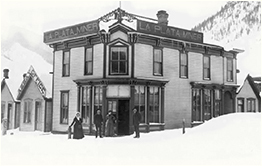 The La Plata Miner began operations on July 10, 1875. Newspaper pioneer John R. Curry somehow managed to haul an old 1839 Hoe press by pack train over Stony Pass and began publishing. At one point, when the town was cut off for several weeks due to snowstorms and avalanches, Curry had to publish the newspaper on blue wrapping paper obtained from a butcher in town. In 1889, the Silverton Standard was founded and the two newspapers eventually merged in 1922. The gunning down of Town Marshal, Clayton Ogsbury on Aug. 24, 1881, by the notorious Ike Stockton Gang, and the subsequent lynching of two of the accused in downtown Silverton. The 1902 purge of Chinese residents, a brutal ethnic cleansing operation. The St. Patrick's Day snowslides of 1906 that killed some 20 miners in various camps following a severe winter storm. The Gold King Mine fire of June 1908 that killed six. The Spanish Flu pandemic of 1918-19 that for some reason hit Silverton particularly hard, wiping out 10 percent of its population (161 died, and two mass graves were dug at Hillside Cemetery to keep up with the horrific death toll). The 1942 fire at the Pride of the West mine that killed eight. In 2009, in the midst of the Great Recession that saw newspapers throughout the country facing unprecedented hardship, things were not looking good for the Silverton Standard & the Miner newspaper, the oldest business in town. The paper came to the historical society as a donation from Randy Miller, owner of Thirteenth Street Media Inc. of Boulder. Miller had purchased the Standard as part of a package that included the Norwood Post and the Telluride Daily Planet in July of 2008. Had he not donated the paper, lack of a buyer would have probably led to a shutdown of the historic publication. The historical society inherited a newspaper that was not exactly making money. And it didn't even have a business office in Silverton anymore. All the bookkeeping had been transferred to Telluride a few years earlier. A bank account was opened with the historical society putting in $10,000. We recruited Gina Rosato to handle advertising and business matters. She got the business office up and running. Five years later the newspaper is still holding its own. Editor and Publisher Mark Esper has now operated the newspaper for seven years. Originally from Flint, Mich., he has worked at weekly and daily newspapers in Michigan, Colorado, Montana and New Mexico. And over the years he's done some reporting on just about every conceivable topic - from corruption in the Navajo Nation government to tracking down survivors of a massacre in a remote area of El Salvador. 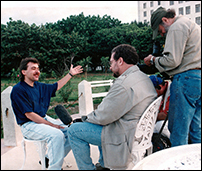 Esper has been to 53 countries, reporting from Northern Ireland, the former Yugoslavia, Central America, Cuba and the Middle East. He's also been to all 50 U.S. states. "I've been detained by Interior Ministry officials in Serbia, was interviewed on ABC's 'Good Morning America' from Havana and somehow made it out of Morazan Province (El Salvador) alive", Esper said. 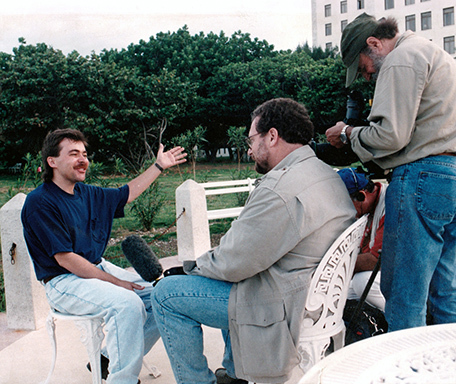 In 2003, on the eve of the Iraq War, Esper took an overland trip from Beirut, Lebanon to Damascus, Syria, then on to Jordan, the West Bank and Israel. "I was kind of inspired by Thomas Friedman's book, 'From Beirut to Jerusalem. It was an amazing journey". The experience left Esper well prepared to handle duties at the Silverton Standard. "It was good training for Silverton", he said. "Plus I've done a couple of grizzly-mauling stories in Montana, so I was well-prepared to cover the Town Council here". In 2009, Esper was a finalist in the Washington Post's Next Great American Pundit contest, finishing in eighth place among more than 5,000 entrants. And Esper has won dozens of Colorado Press Association awards for the Silverton Standard. "Silverton's a great place to write about - especially for someone who loves history", Esper said.